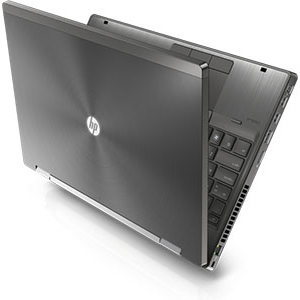 Equipped with cutting-edge Intel Core i7 processor, generous amount of memory and NVIDIA Quadro workstation graphics card in a rugged housing, the HP EliteBook 8570w is a truly workhorse that delivers the brain, brawn and unrelenting durability you need to get your projects done, whether in the office or on the go. Boasting chiseled good looks and precision design, the HP EliteBook 8570w Mobile Workstation makes no compromises on manageability, performance and durability. Featuring workstation power and optional backlit keyboard, the EliteBook 8570w offers the performance and mobility you need to get your most demanding work done outside the office. And in fact, it passes seven military tests for durability*. * Testing was not intended to demonstrate fitness for DOD contracts requirements or for military use. Test results are not a guarantee of future performance under these test conditions. Benefit from incredible performance, responsiveness and exciting features like Intel Turbo Boost Technology 2.0. 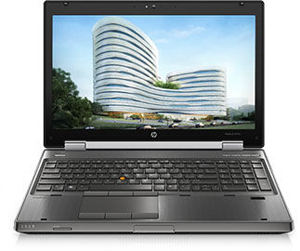 The HP EliteBook 8570w with the cutting-edge 3rd Generation Intel multi-core processors, lets you run demanding applications with abundant amount of system memory. And with the new Intel Smart Response Technology (on select models), you’ll gain fast response times for things like system boot and application startup with hard drive. 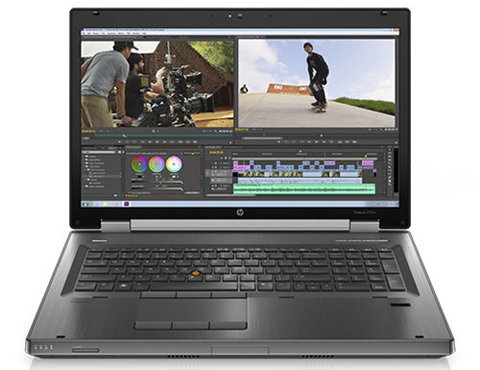 Featuring the latest workstation-caliber graphics powered by NVIDIA, the HP EliteBook 8570w achieves blazing fast transfers and manipulation of 3D textures on its 15.6″ diagonal Full HD display. Multi-task on multiple screens or view enlarged content on external displays. You can also improve color matching from vision to production with HP DreamColor Technology. 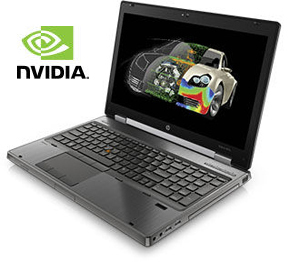 Offering true workstation-class application performance and robust OpenGL support, NVIDIA graphics are fully certified and optimized with industry-leading applications such as AutoDesk, Solidworks and Adobe for enhanced performance and reliability. Take advantage of large GPU memory with fast bandwidth (up to 256-bit) for display of complex models and scenes, as well as computation of large datasets.